Shall we dance? Yes, we dance. All. The present exhibition dance as a social fact shared, creator of links, that runs through our lives and our societies share share. Each discovers movies, parts sound and excerpts of texts arranged in an audiovisual flow projected on a variety of media, in a setting that invites to the movement... Shall we dance? Commissioners of the exhibition: Émilie Girard and Amélie Couillaud. 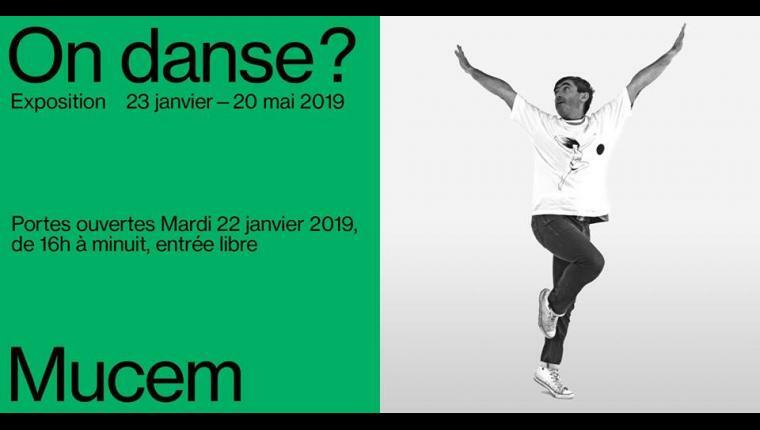 Tuesday, January 22 from 4 pm to midnight, discover in preview and free the new exhibition of Mucem "Shall we dance?" during a festive night with bar, restaurant, DJ set and performance!